As far back as 2014 the trade press started documenting “App fatigue”. Slate Magazine, Quartz and others published data from comScore showing that “most US smartphone owners download zero apps in a typical month”. Is the app dead? Not necessarily, but people are demanding more of them, and only the youngest demographics are great fans. Here’s the situation. We know that adults don’t favor apps for healthcare information or other purposes, but do they use their smartphones in other ways for health issues? The answer is yes, but only a small percentage of them. 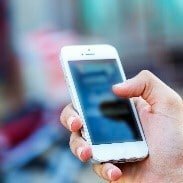 A Pew Research study found that while 80 percent of cell phone owners use text messages, only 9 percent of them receive text updates or alerts about health or medical issues. Of the ones that do, the majority are women aged 30 to 64. Phones just aren’t the vehicle of choice for the management of healthcare issues. The web is another matter. 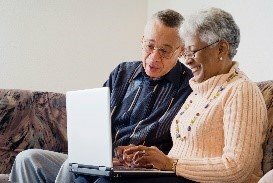 Pew Research reports that 81 percent of adults in the United States use the internet and of that group, 59 percent of them use it to look for online health information. That’s where web-based healthcare services come in. They are available on the platforms that consumers prefer and deliver services in a way that consumers want to access. It’s clear that health related services that originate on the web are the ones that are most easily integrated into consumers’ lifestyles and habits. This indicates an intense interest in maintaining health and tracking how personal habits impact wellness. Medication adherence is key among these factors, and taking the right dose of medication at the right time, every day, is essential. Services like Medicationcallreminder.com that support this accuracy in a web-based platform can further wellness, reduce stress, and improve outcomes. We live in a digital world where adoption habits are continually changing and evolving. Apps, games and downloads can quickly lose their shine. However, wellness is here to stay and interest in it is far from fleeting. Maintaining a long and healthy life means adhering to the basic tenets of wellness; nutrition, exercise, and proper medication. To the extent that web based platforms can support individual efforts to maximize health and that of aging loved ones, it becomes part of the lexicon of aging well.